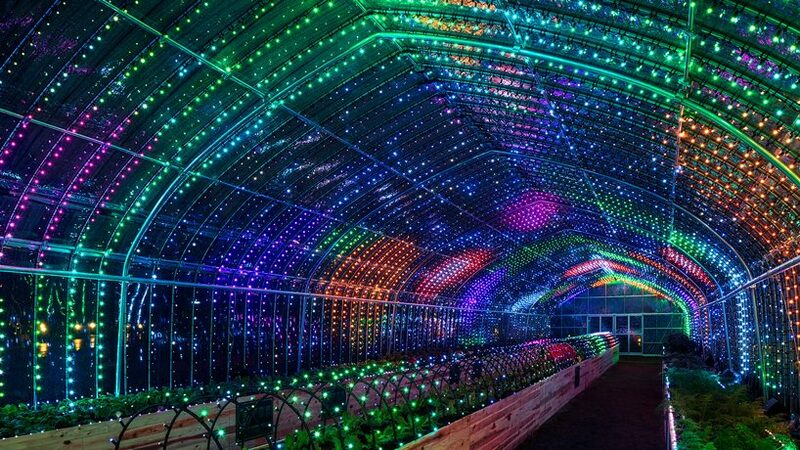 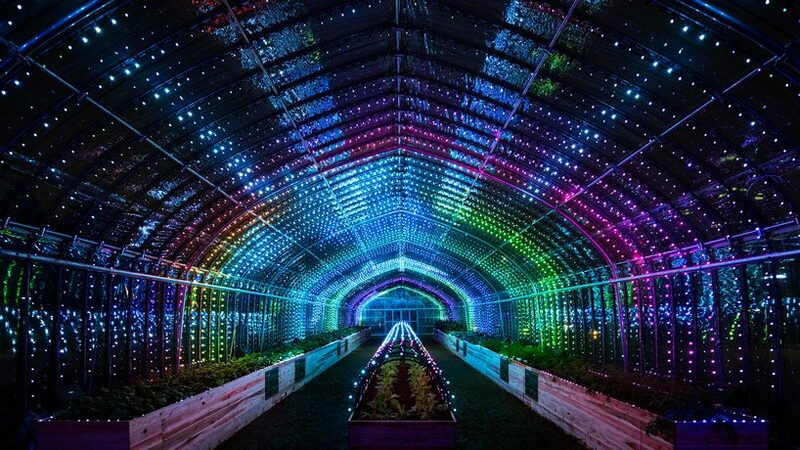 PARTY, a collective of japanese creatives, has developed a digital, technicolor, touch-sensitive greenhouse in tokyo’s city-center. 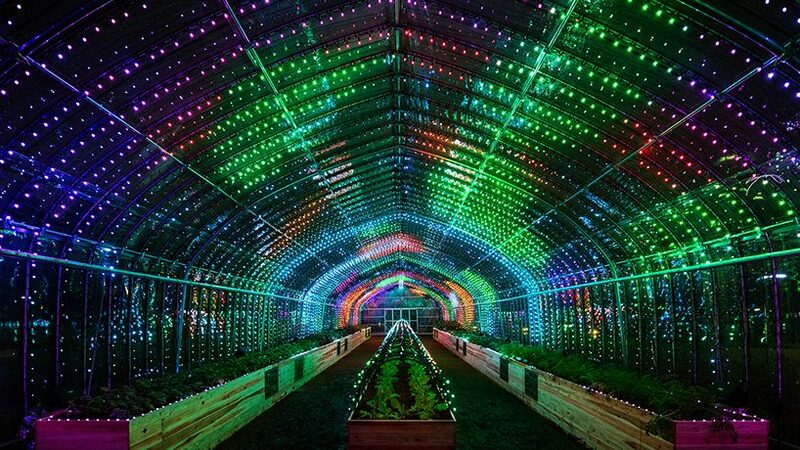 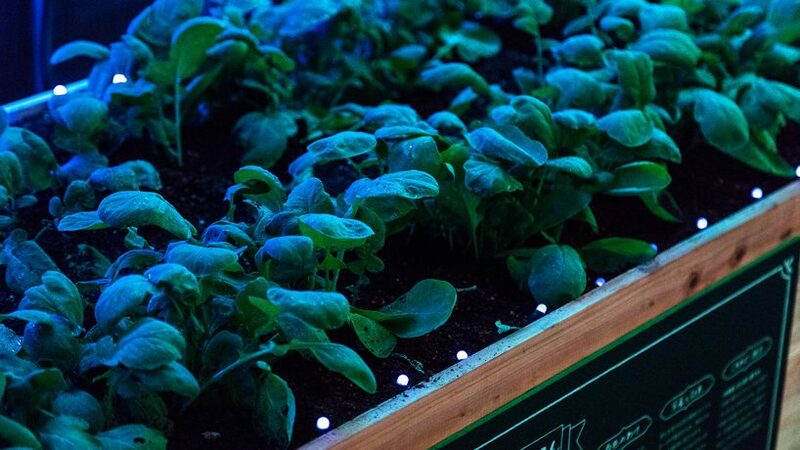 dubbed ‘digital vegetables’, the psychedelic light installation features seven types of vegetables planted inside, each triggering a different sound when touched — tomatoes are violins, carrots are trumpets, cabbages are oboes, radishes are flutes, sweet potatoes are pianos, eggplants are harps and pumpkins are clarinets. 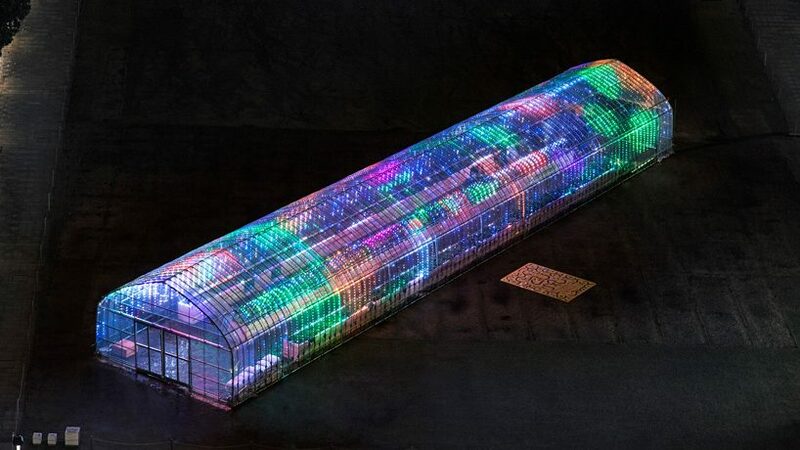 in addition to its visual kaleidoscopic experience, PARTY‘s digital greenhouse features a meticulously orchestrated light installation. 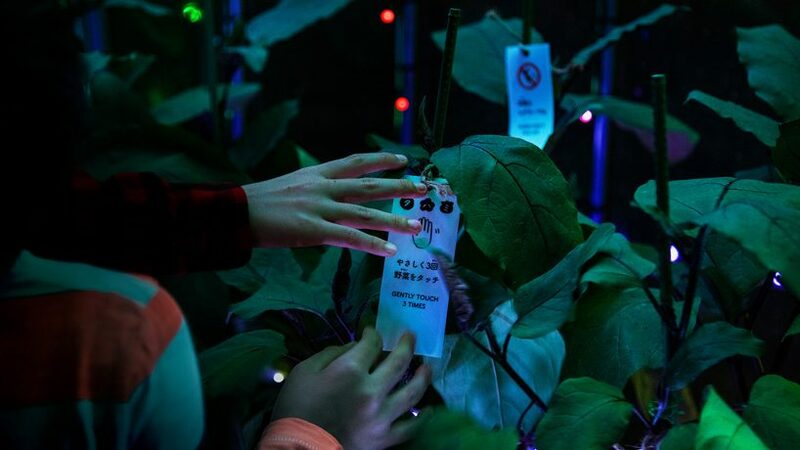 ‘start off by touching the seven types of lives now growing strong in the soil,’ explains lead director naoki ito. 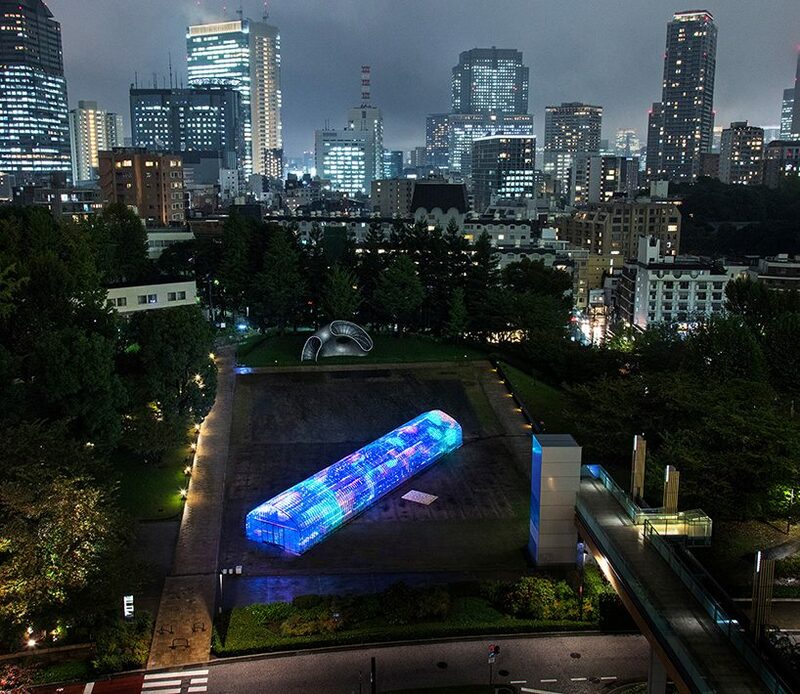 ‘then, bathe in the design of vegetables, enhanced by videos and sounds.’ digital vegetables is on display in tokyo midtown through november 5th, and is part of design touch 2017 — a design-based event that explores the concept of enjoying design through all five senses.